Baani Center Point Gurgaon is a newly designed commercial project in Dwarka Expressway with a built up area of 5,50000 Sq. Ft. developed by Baani Group and is situated at NH8. Baani Center Point is a four floor dedicated and air conditioned complex where lower levels are for retail arcades, restaurants and food courts while the above levels are dedicated for well-crafted multiplex. Baani Sector 80 Gurgaon is certainly a major cinema hub for people which is operated by leading multiplex chains – INOX. It is lavishly designed yet thoughtfully designed complex for retail shops, food courts, café, beauty clinics, health clubs, specialty outlets and service apartments at a very reasonable prices. Baani Center Point has been given a Spanish resort style architecture, designed with a perfect mix of concrete, glass, steel and stone on 150 meter wide National Highway 8. The place gives better accessibility to Delhi NCR, Rohtak, Dwarka, Faridabad, Rewadi, Noida, etc and is a perfect destination for people who wants to enjoy the best of life including nighlife. All the shops in every floor ranges from 300 Sq. Ft. to 1000 Sq. Ft. with different price range. 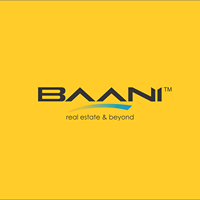 Baani Center Point Gurgaon is well connected with major areas such as IGI Airport, Iffco Chowk, Delhi Metro, Vatika City, Banks, MCA, SCLR, etc with hardly 15 minute drive. Some of the major highlights include 24/7 security with CCTV surveillance, 24 hour electricity back up, Wifi connectivity with 11% assured return projects.